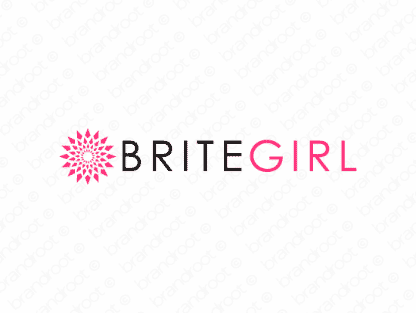 Brand britegirl is for sale on Brandroot.com! A catchy name with an attractive sound, this unique mix of "bright" and "girl" has a capable and smart feel. Britegirl is a savvy women-centered brand ideal for design, fashion or education oriented businesses. You will have full ownership and rights to Britegirl.com. One of our professional Brandroot representatives will contact you and walk you through the entire transfer process.